This charming villa near the beach captivates you with its quiet location in beautiful surroundings on a hill. From the patio you will enjoy the view of the garden. This spacious four bedroom villa is ideally located close to the beach, amidst beautiful surroundings. Its position on a hill affords it with wonderful views of the garden, the swimming pool and the Mediterranean Sea, which is situated just 800 metres from the holiday home. Inside, the villa has been tastefully decorated with fresh, pastel colours and comfortable furnishings. All of the rooms on the ground floor, which includes two bedrooms, a bathroom and a garage, are accessible from the outside. 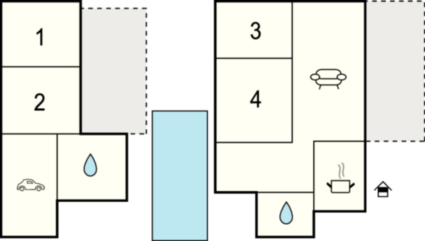 Upstairs there is a living area, a kitchen, two bedrooms and a bathroom. The terrace area is ideal for relaxing evenings spent admiring the view whilst enjoying a delicious homecooked meal using some the fresh local produce.With nearly eight kilometres of rocky coves, pretty inlets and sandy beaches, Les Issambres is popular for its family-friendly beaches. It is nestled in the Mauren Mountains and benefits from a mild climate. The village is well located for guests wishing to visit Sainte Maxime and Saint Tropez.Please note, it is possible to rent beach towels from the owner (upon request). This beautiful villa is made from brick or stone and was originally built in 1960 and refurbished in 2005. The agent has rated it as a four star property so it is a well-equipped villa with above average furnishings. It is also great value for money. 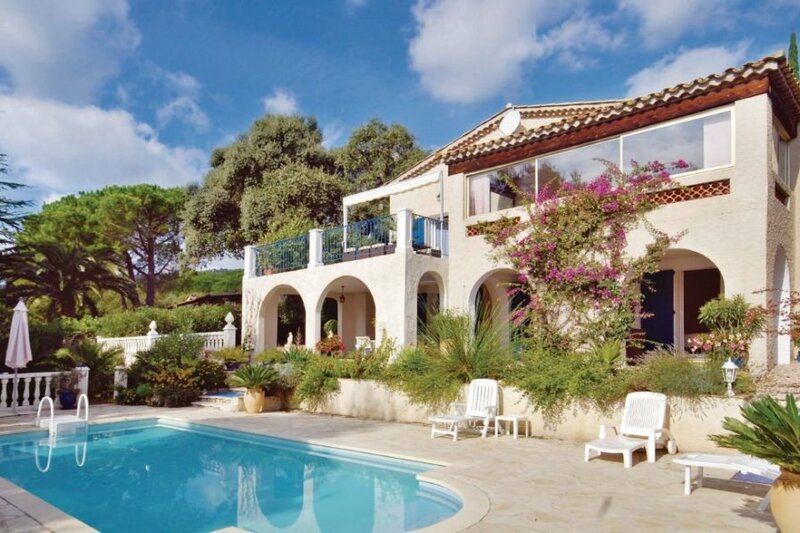 This villa has a private pool and sea view; it is also located in Roquebrune-sur-Argens, only 10km from Sainte-Maxime. It is set in a very convenient location, just 800 metres away from a sandy beach. There's also a restaurant only 800 metres away.